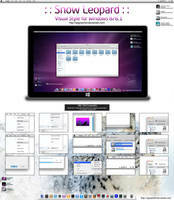 "Blaze", "Blaze 2" & "Blaze 3" for Windows 8 & Windows 8.1 (X86)32 bit & (X64)64 bit Systems. P.S. 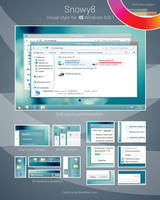 Windows 8 users : for the start menu use Stardock "Start8" OR "StartIsBack". 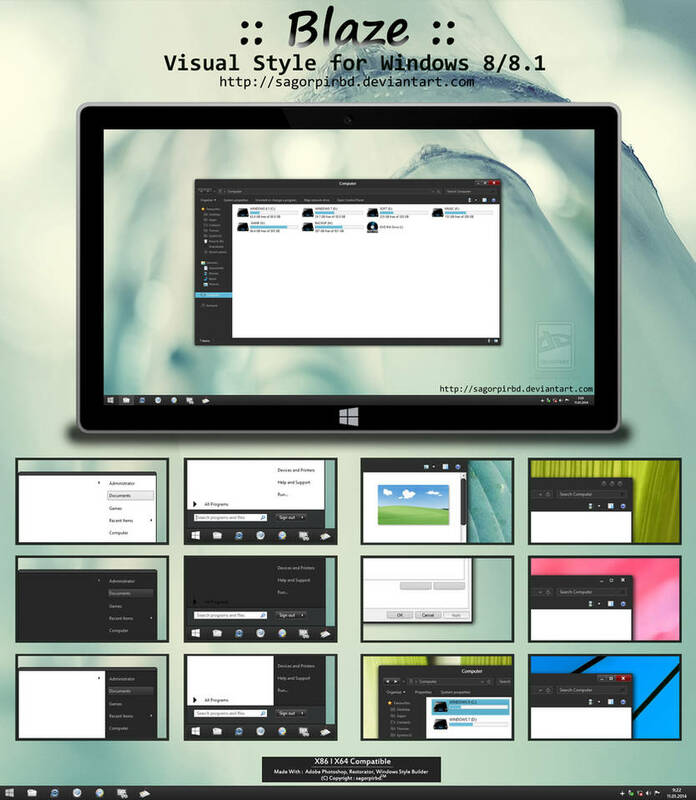 Final Release : (11 January 2014) fixed the titlebar text & jumplist bug for Windows 8.1 users. Visual Styles/Themes (3 Different Style). 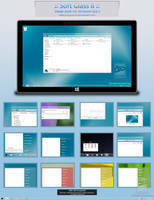 Now Unzip & Copy "Blaze" folder to : C:l Windows:l Resources:l Themes folder. 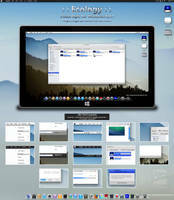 Now Go to Desktop Personalize & apply "Blaze", "Blaze 2" OR "Blaze 3" theme. 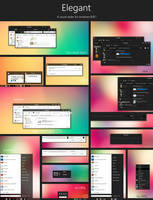 Perfect Taskbar height ( Small & Big). 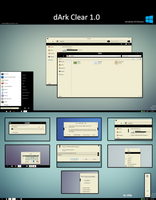 Perfect Combine & Non-Combine Taskbar. Improve Favorite Link Color & Text. 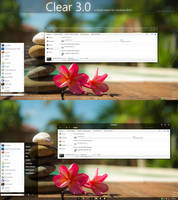 Added a new theme with new start menu & Minimum/Maximum/Close Buttons. The Minimize, Maximize and Close buttons don't show up correctly on this theme. All versions have issues. 1 shows tiny dots, 2 shows no buttons at all and and 3 shows two empty grey squares and an empty red square for the close. Any tips to get the buttons showing correctly? I tried all of the suggestions further down the thread and nothing worked. Hello. 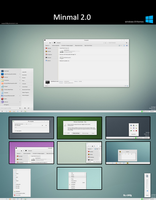 I just wanted to pop in and say thanks for this beautiful theme and also give a WARNING to anyone running Windows 8.1. DO NOT install latest UXStyle 2.4.2. It does not work with Windows 8.1. Install 2.3.0 for Windows 8.1. Read the Artist description carefully! Download button gives me Error 404. Check it and download button are fine! Working and coming next month! See the upper right corner! Hi! 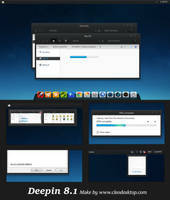 I've tried getting blaze1,2,3 but the minimize , maximize and close buttons are not shown? I love your themes. Any suggestions? 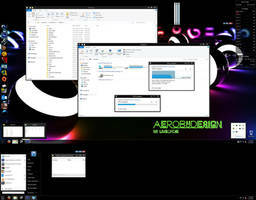 First apply Windows default aero theme and then log out. then log in and try to apply Blaze theme. any suggestions? that i can force the theme to appear? 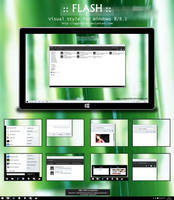 Which Windows 8 version are you using, 8 build 9200 or 8.1 build 9600 32bit or 64bit ? 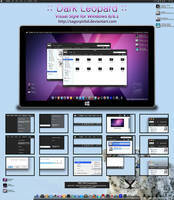 First uninstall "uxstyle Theme Patcher" and Restart your pc. now follow the instruction below. For Windows 8.1 build 9600 : First patch your system with "uxstyle Theme Patcher" :--> [Link] and restart your pc. Do you think you'll explain how you create these themes? 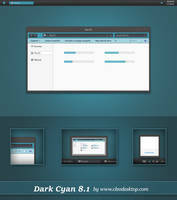 I'd love to try my hand at it but I'm only finding "how to install custom theme" guides rather creation guides. 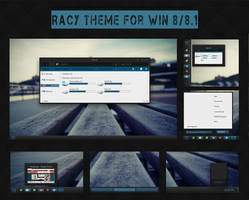 For Windows 8 build 9200 : First patch your system with "Ultra UX Theme Patcher" :--> [Link] and restart your pc. Seems to be a misread question here - the OP is finding ONLY installation guides and NOT ANY creation guides, not the other way round. Can you help me? love the theme!! May be your system not patched correctly. try to uninstall the patch first then Restart your pc and then try to install the patch again! hi i really like this theme but the text is to light for me, so is it possible to only apply the tastkbar? Not understand what do you mean by : "possible to only apply the tastkbar" ??? 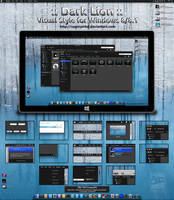 Try to buy "Windows Style Builder" software then try yourself! Best theme I've seen so far! Although I'm having problems with it: i.imgur.com/QFjGTkm.jpg (problem shown in the link) I don't now if it's a bug or I'm just dumb and did something wrong. 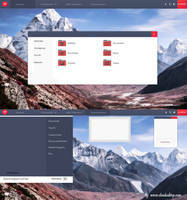 Also, could anybody tell me what wallaper is used in the sample pictures? You have to use "Oldnewexplorer" to fix the problem! Secondly, i currently use blaze 1 without any of the programs that alter the start menu so i have the "classic" windows 8 start screen. 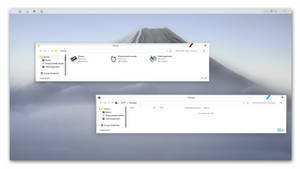 When i try to right click on anything on the start screen the context menu doesnt not appear. I read that this is a common issue when using 3rd party themes... Is there a way to fix that? 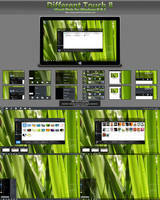 Use Stardock "Start8" OR "StartIsBack" whatever you like to solve the problem! 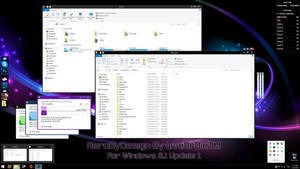 You can get a classic start menu and windows 8 menu both when you use Stardock "Start8" OR "StartIsBack". Thanks for making this skin. Could use a lil more polish but is still great. Wonder could make with red instead of blue ? Red ROG version like ... AMD Windows Desktop for Windows 7.